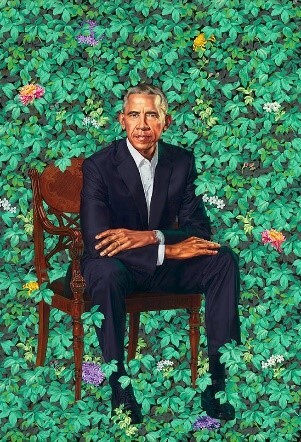 When Kehinde Wiley's portrait of President Obama was unveiled, MOBA’s curator-in-chief, Michael Frank, shared his thoughts on this distinctive image. 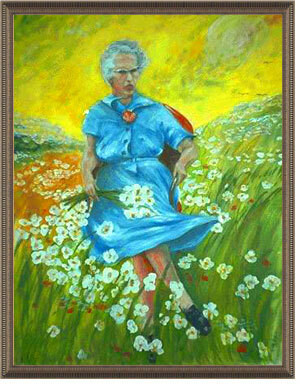 Mr. Frank believes that Barack in Wrigley Field with Ivy was clearly inspired by the Anonymous painting that was the impetus for MOBA, Lucy in the Field with Flowers. Among the artist’s interesting decisions was the portrayal of Mr. Obama in front of the Wrigley Field outfield, despite the fact that he is a White Sox fan.